Usually common redpolls survive on birch seeds, but if they can’t find enough birches they will come in to bird feeders. You never know what’s going to happen in the winter. Birdwatchers hope for snowy owls and winter finches and maybe even read the annual winter finch forecast, but birds do what they’re going to do. This fall we had a big push of pine siskins and crossbills heading in the upper United States, but around November people weren’t seeing them as often. Perhaps just as well because people have been super focused on the snowy owls appearing like weeds along the upper Great Lakes region. 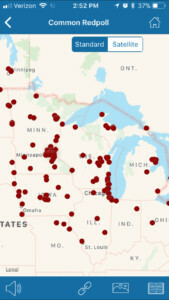 Screenshot of the most recent redpoll reports in eBird. 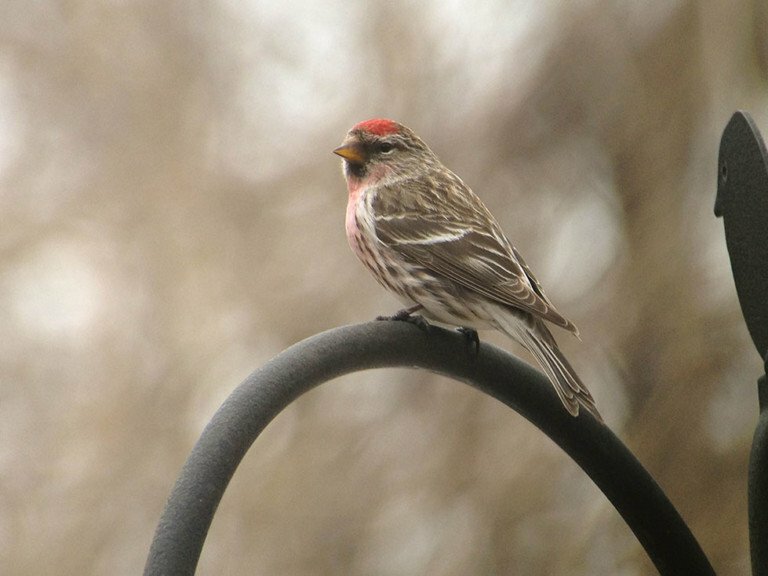 A few redpolls had been seen in northern Minnesota and Wisconsin and then petered out. Then suddenly, on Thursday, Dec. 21 I checked Facebook and saw that four friends in different parts of the Twin Cities metro had posted that common redpolls suddenly were showing up at their bird feeders. The next morning I headed out to take a picture of a scarf my sister sent me, and lo and behold I even had redpolls in my trees. A quick check of eBird reports in my BirdsEye app showed the redpolls have suddenly moved south in a big way! Keep an eye for these birds at your feeders, they especially like sunflower seeds and Nyjer thistle, and you usually see large flocks, not just a few. And those birds really will consume your seed supply. According to Cornell Lab of Ornithology, a single redpoll can eat up to 42 percent of its body mass in a day, so if you have a flock of 50 that showed up, check your seed supply. Having a voracious appetite serves these tiny birds well. Redpolls can survive serious cold and have been documented surviving -65 degrees Fahrenheit. They have even been documented making tunnels in fresh snow to sleep in at night, which is pretty amazing given that they are barely five inches long. Most of the redpolls that we will see are the common redpoll. But there are a few that are quite pale, with barely any streaking. If you have a frostier-looking redpoll, you might have a separate species – the hoary redpoll. But for the most part the birds at your feeders will be common redpolls. There’s been a bit of controversy about the two species. Recent DNA studies suggest the two redpoll species we see in the United States, that have a less-than-1-percent difference in genome, and hoary and common redpolls are the same species. 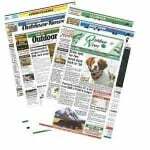 The American Ornithological Society hasn’t agreed to lump them as a species, so if you are a lister, you could possibly see two different species in your yard. In the meantime, enjoy these winter finches while they are here. All too quickly they’ll head back north to their breeding grounds, not to be seen for a few years.